The Signals page consolidates your social streams from business Facebook Pages, and Twitter into a central place to find important contacts to engage. Note: For the Signals page to work, you must have your Nimble Daily Summary enabled in Settings >> Notifications >> My Daily Summary. 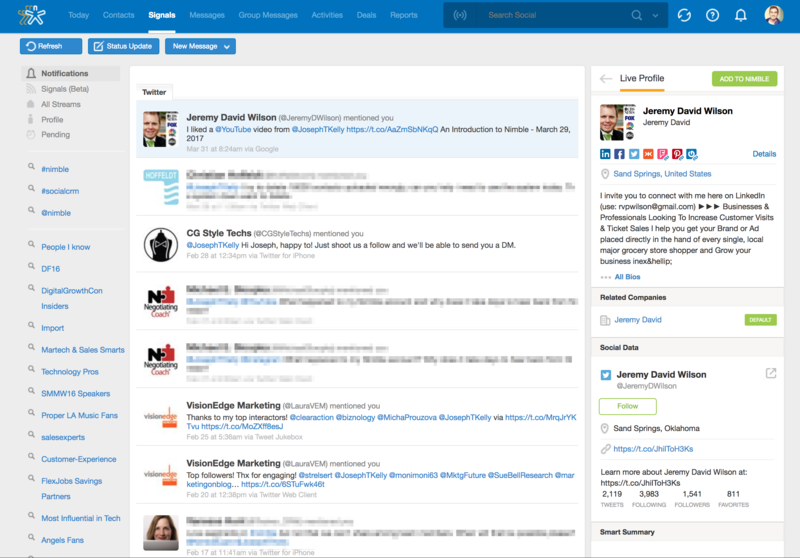 We show you a real-time feed from all of your social networks on one page. You can easily see people who want to connect, as well as who has mentioned, retweeted, or followed you. All your important notifications in one place without having to jump through a bunch of tabs on your browser. Signals is a filterable, sortable page for everything important to you in your network. 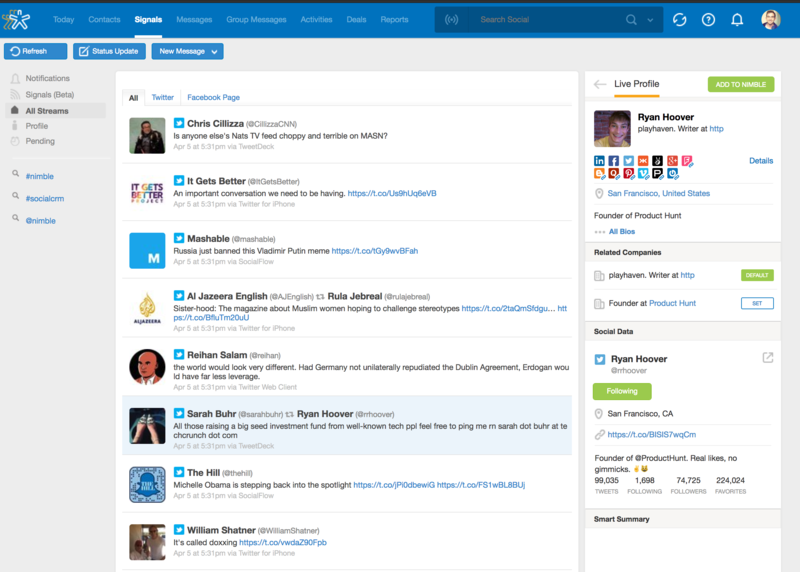 The signals tab allows you to sort engagement opportunities such as new connections, and RTs, tweets, mentions, comments and likes. The coolest thing of all, you can sort these signals by your custom saved searches in Nimble! This is the page where you can view and segment all of your social streams by networks. You don't need to open a bunch of browser tabs anymore, we help put everything together for you! 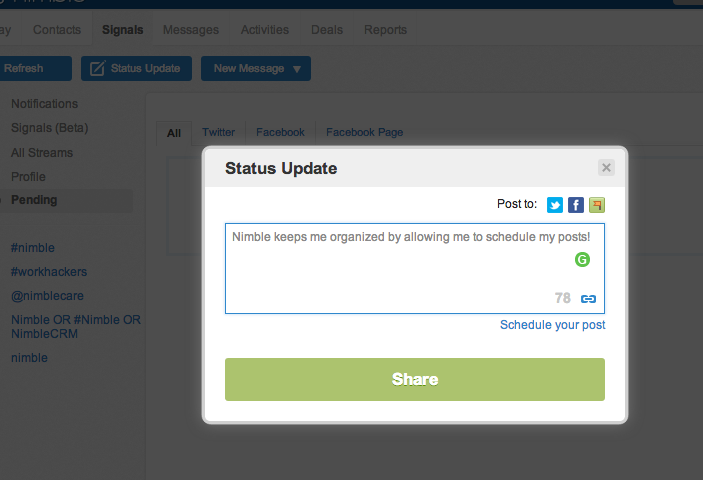 Select "Status Update", type a post, and pick a time that you feel best suits your audience!